he Federal Budget Lockup is a unique annual event. The media are given access to the Budget papers six hours under embargo prior to the Treasurer delivering it to the House at a special sitting at 7.30pm. Our Director, Nick La Galle, was project manager while working at News Corp for over 5 years and prior to that 14 years for the Herald and Weekly Times. While under the embargo, lockup attendees are not allowed to speak to anyone outside Parliament House. 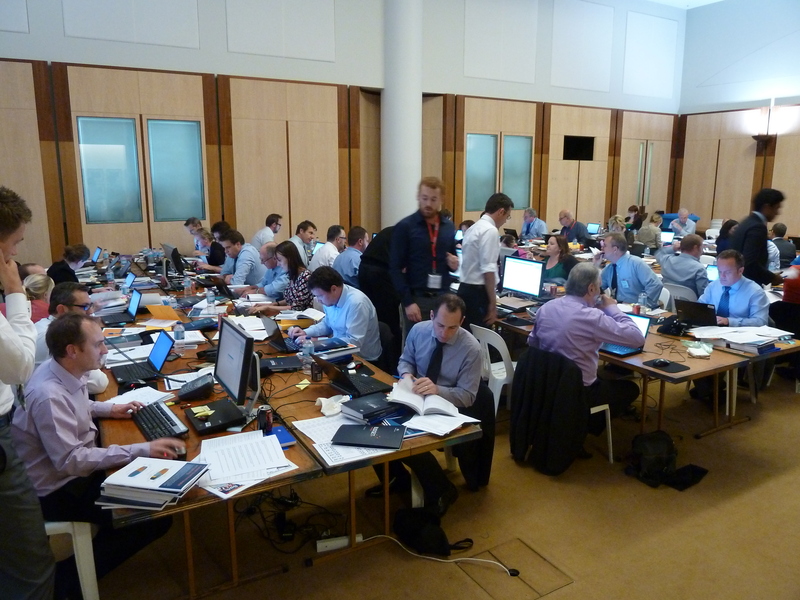 There is a lockup at Parliament House to write the stories and local production lockups at the various sites. All data traffic sent must be encrypted and the security model approved by Treasury. The project involved over 200 people from IT and Editorial. As project lead all aspects were under Nick’s direction. He liaised with Editorial, IT and Federal Treasury staff to coordinate the various aspects of the day. This included seating plans, terminal layouts, technical requirements and managing the IT staff who would report to him. He also handled the budget for the project, travel for staff and communication with the various stakeholders. Many advances were made for the lockup including utilising IP phones, delivering copy to all mastheads automatically and without human interaction. Special systems were also created to deal with images from photographers and content being delivered from agencies who were also in the lockup. One major part of the lockup is taking into account every scenario where something can go wrong and how it will be fixed within the lockup. Redundancies and backup plans were devised but were never enacted on. During the time that Nick managed the lockup, there was zero downtime and News Corp produced papers on time and delivered content online minutes after the lockup was lifted.